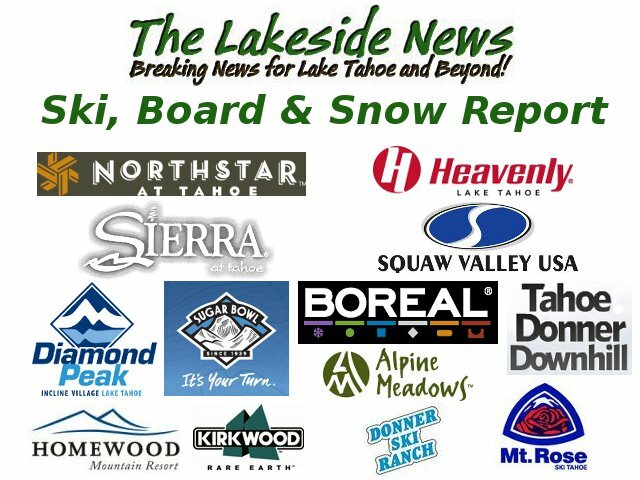 The Tahoe Area Snow Report and Resorts are Open and Ready For Holiday Skiers & Boarders. By John_Hamilton on December 26, 2013, 11:29 am Comments Off on The Tahoe Area Snow Report and Resorts are Open and Ready For Holiday Skiers & Boarders. Lake Tahoe, CA/NV…The 2013/14 Winter season is here and many of the resorts are open and more terrain is being opened daily. Just a bit of a cautionary note as the bases are still slight so stay on marked trails and were they were able to lay down a man made base. If you are planning a family vacation early season is a great time for everyone to take some lessons and get those skills tuned up. Typically the beginner and moderate terrain is the first to open and can provide a good experience to learn on. With good weather in the forecast you can actually have a better family vacation and get those new to wintersports up and running and happy easier under these conditions than after an epic Sierra Nevada dump of feet of snow. Squaw is reporting 2″ of New Snow and a 21″ Base. equipment and crews. They are reporting a 24″ to 36″ base. Boreal Their lifts are turning from 9am to 9pm everyday. They are reporting a 34″ base. Northstar is reporting a 18 inch base and 15 lifts running. Northstar has good snowmaking equipment and early season they can open a good portion of their moderate terrain. Alpine Meadows is open with a 19 – 20″ base. Mt. Rose is open from top to bottom with a 16″ to a whopping early season 39″ base. Heavenly is reporting 19 lifts turning and 178 acres open. Kirkwood is Open with a 12 – 18″ base! Donner Ski Ranch has tubing open but not quite enough snow to crank up the chairs yet. Tahoe Donner has a limited amount of beginner terrain open with a 6-10″ base. More resorts will be opening soon.